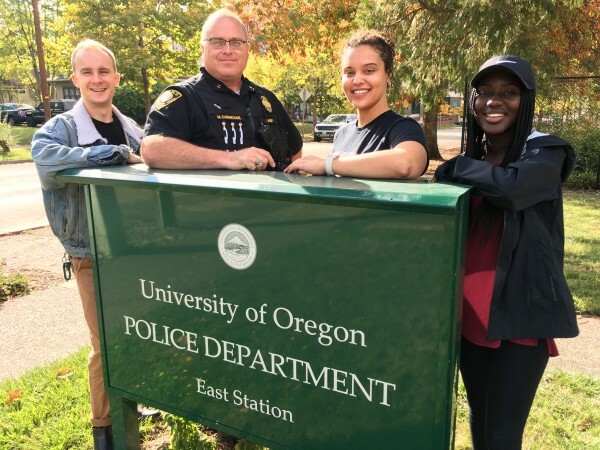 The University of Oregon Police Department’s goal is to help create an exceptionally safe, secure campus for students and faculty to focus intently on excellent academics, research and public service. We promote an inclusive, respectful environment for our global campus, and protect the free and civil exchange of ideas. We are police on campus, for campus. How can we help you? Eugene and UO Police want students to know the easy things they can do to get ready for a safe spring break (hint signing up for Vacation Watch is a bonus!). A great way for students to keep track of transportation options, including seeing the UO Campus Shuttle interactive map, is to download and use the free, official UOregon Mobile App (available on the iTunes store and Google Play). The built-in map features are also the best way for students to quickly find their winter term classes.